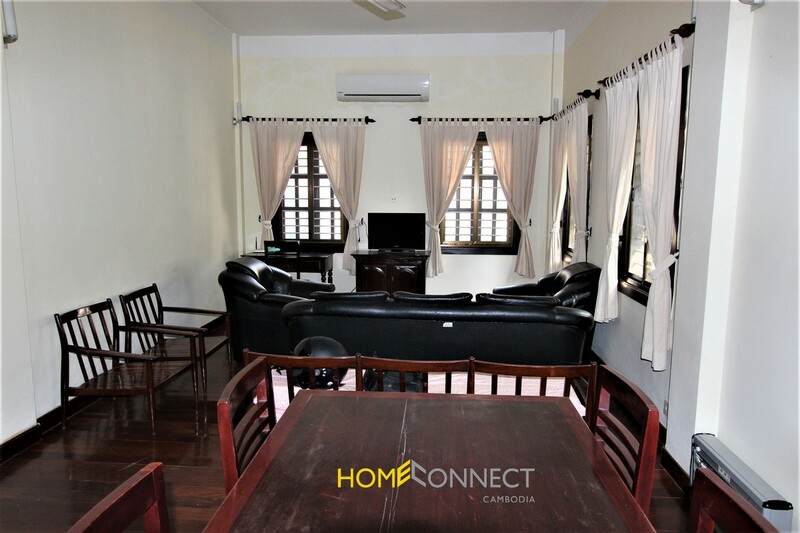 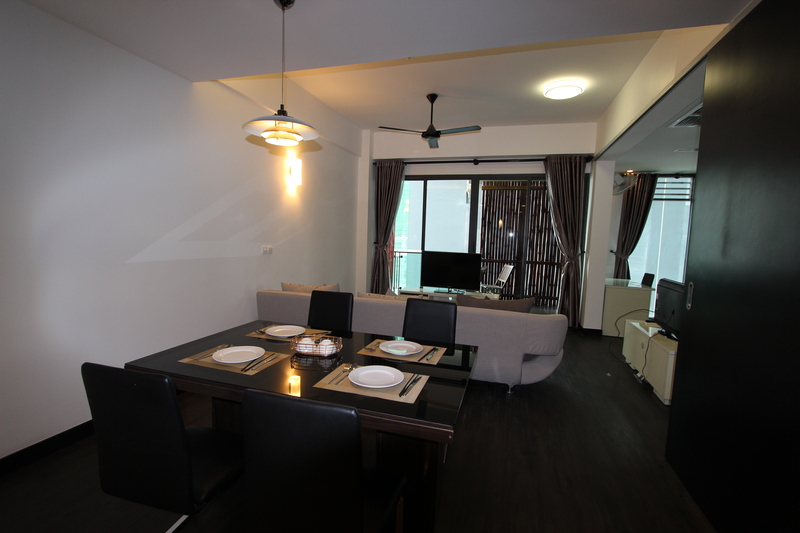 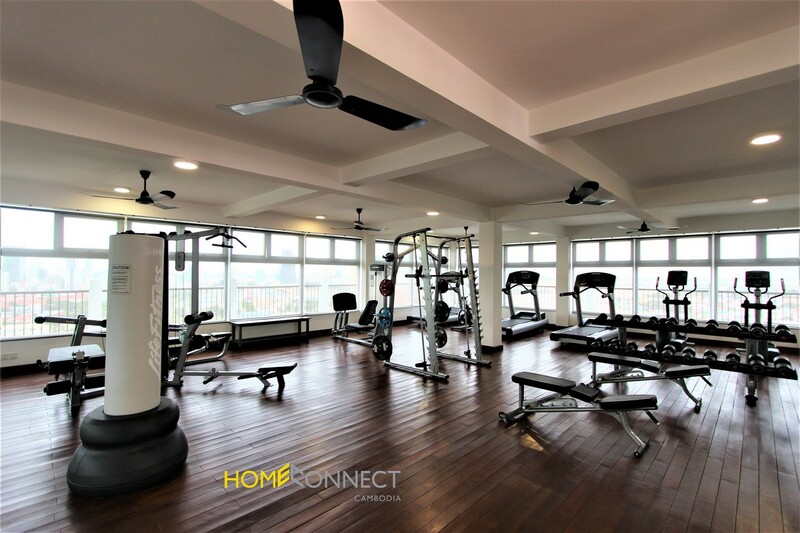 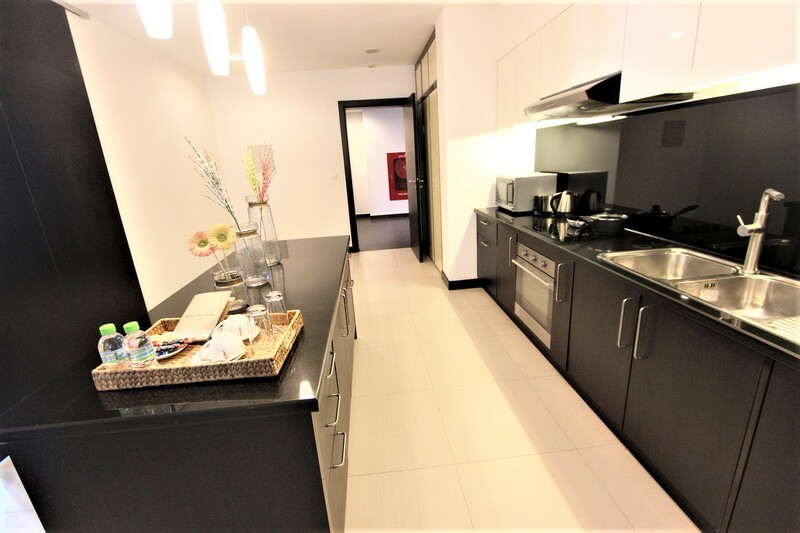 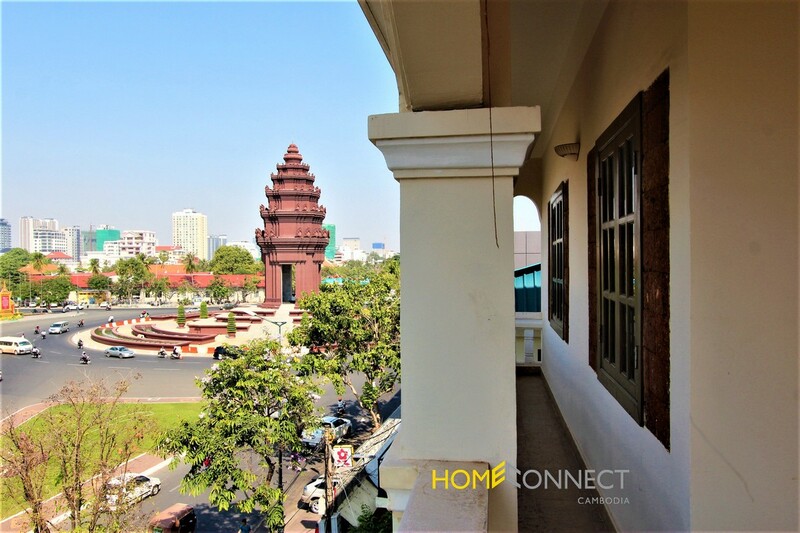 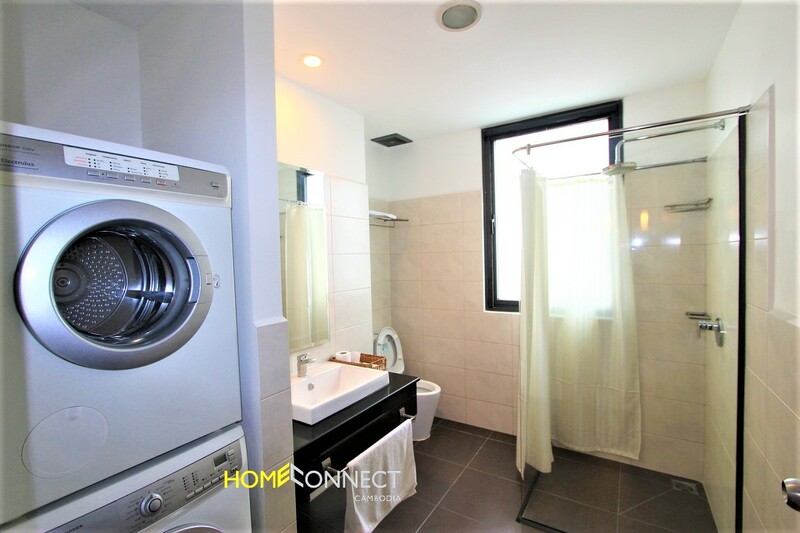 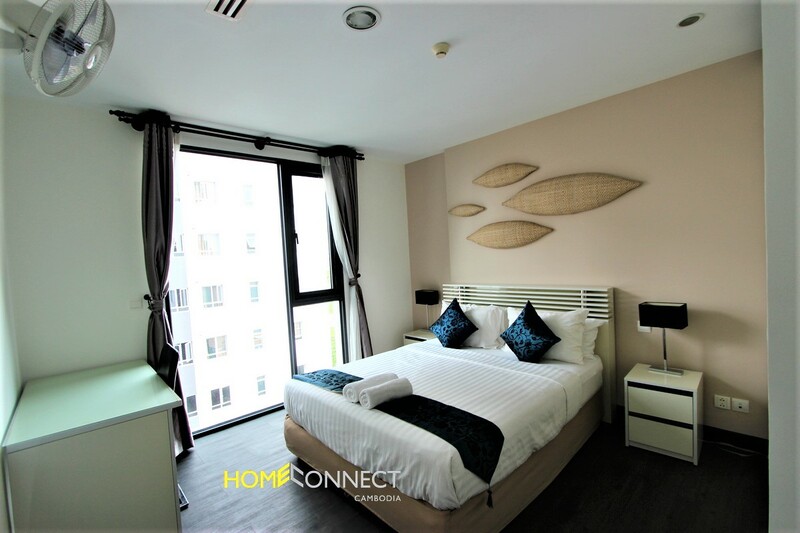 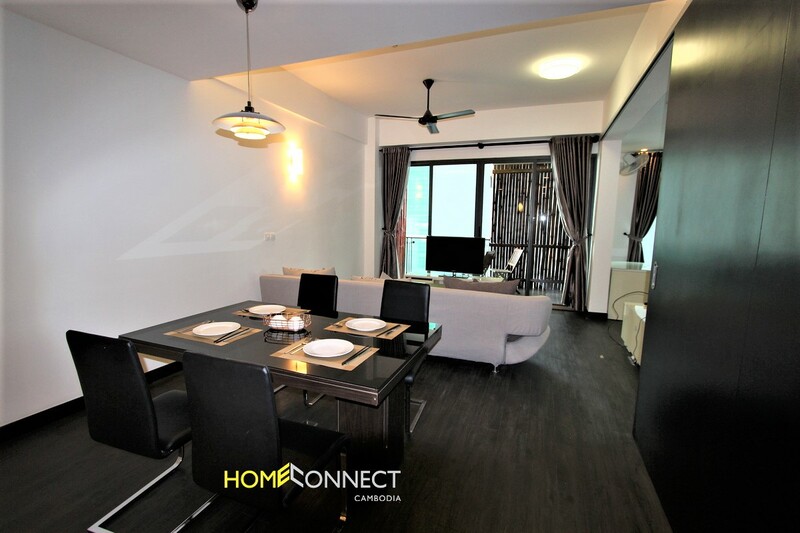 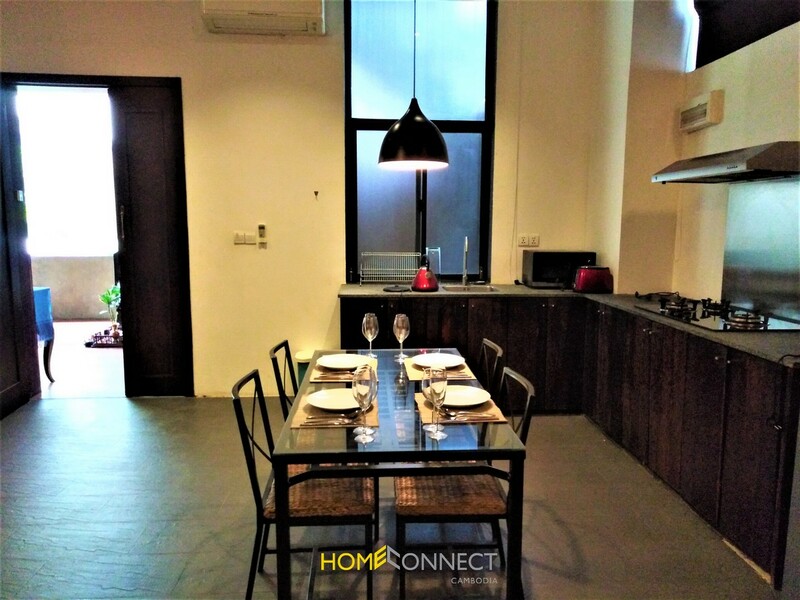 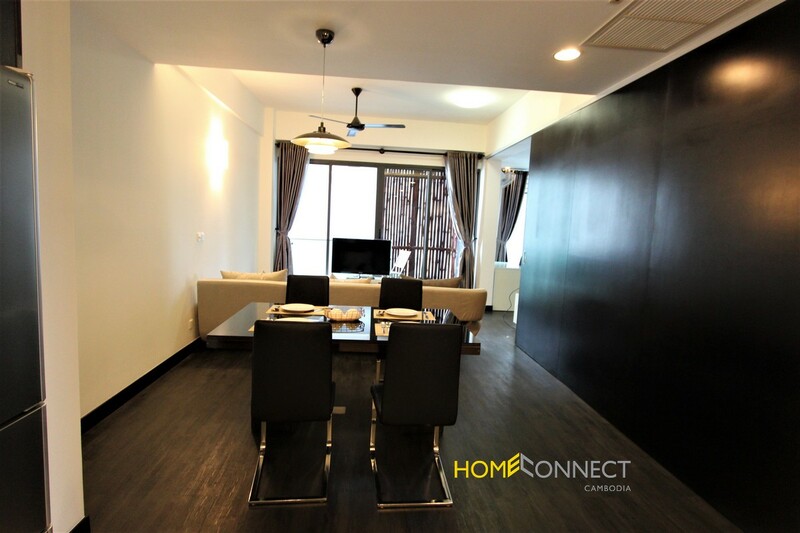 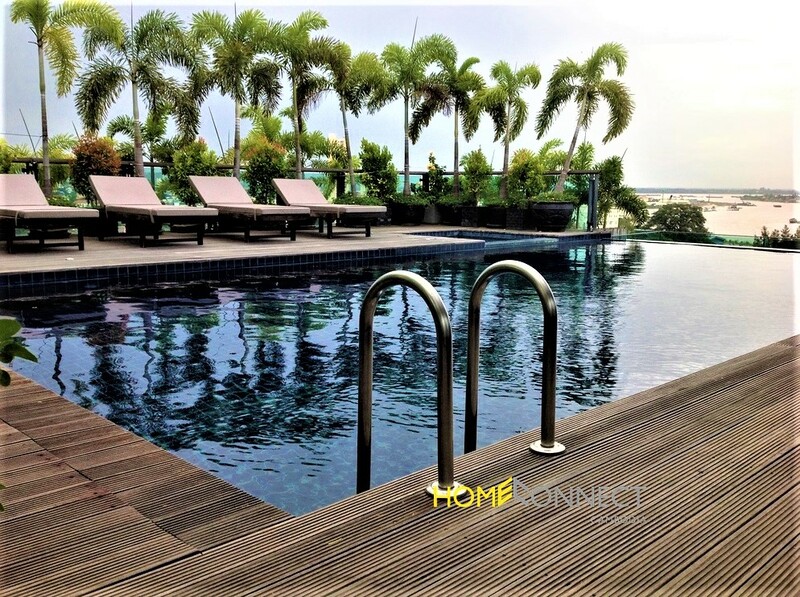 This apartment is located in the southern part of BKK1, closed to central Phnom Penh. 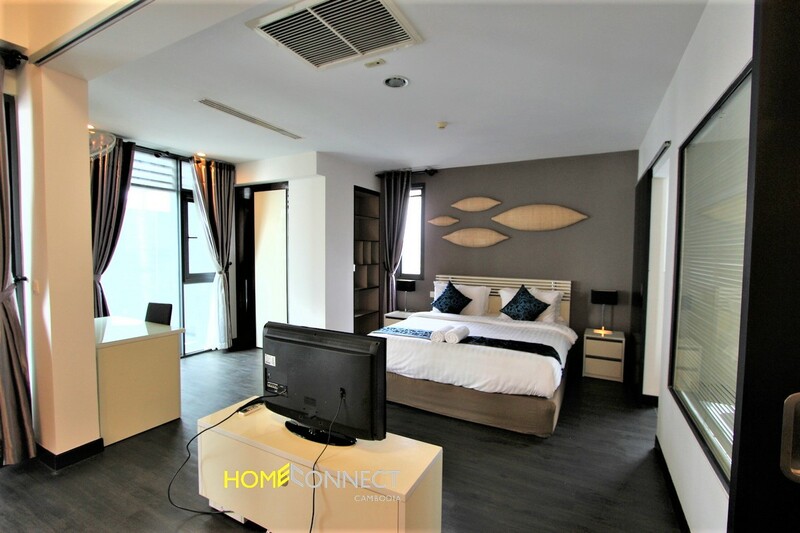 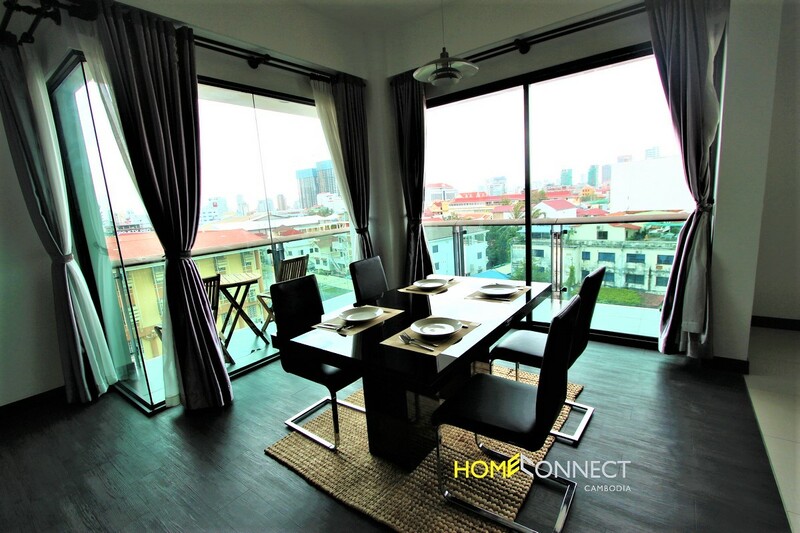 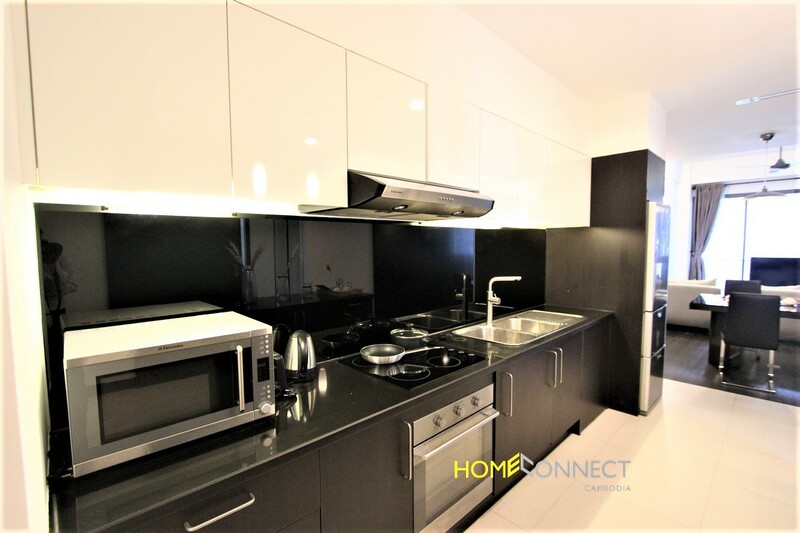 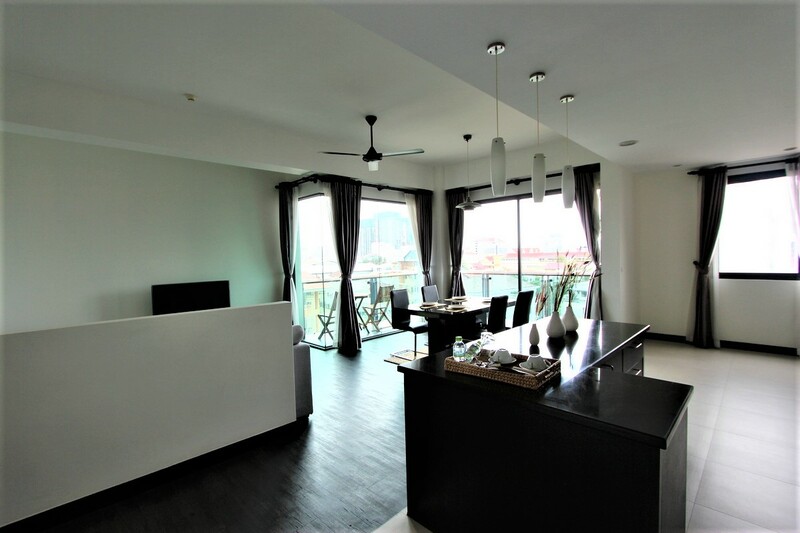 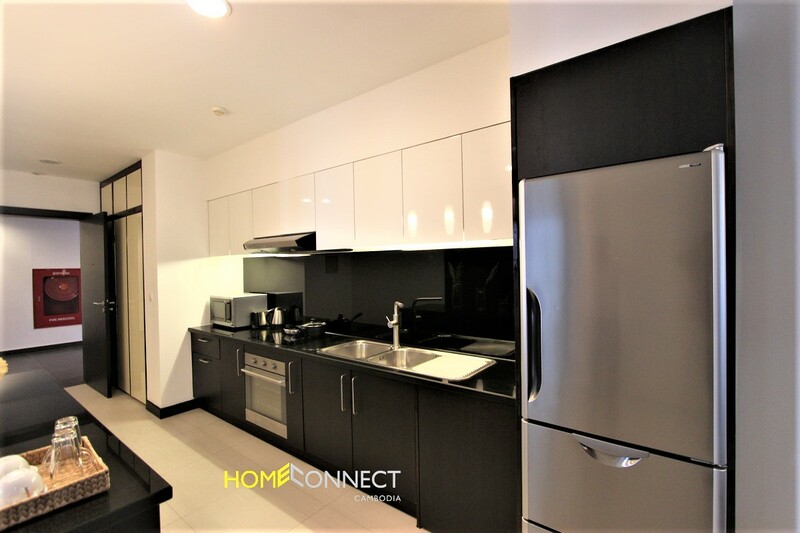 This 130 sqm apartment comes fully furnished and features a huge living area with a kitchen and a private balcony. 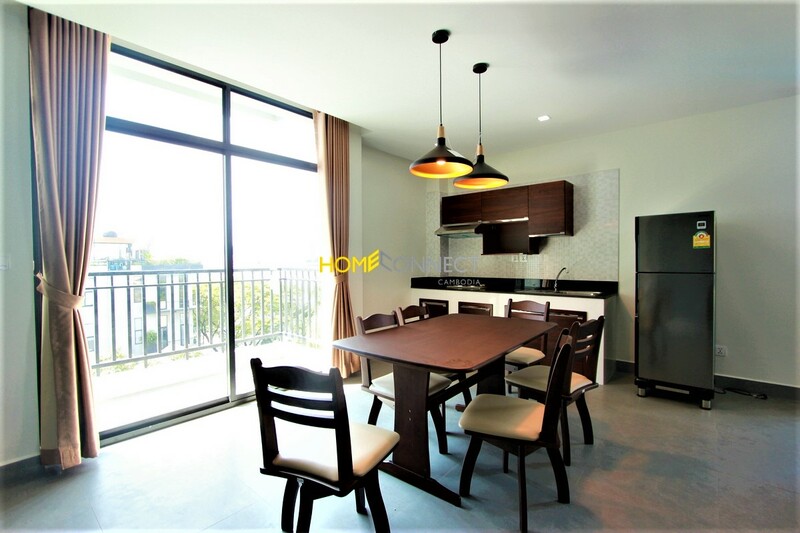 This property has a parking area on the ground floor, an elevator and 24 hours security. 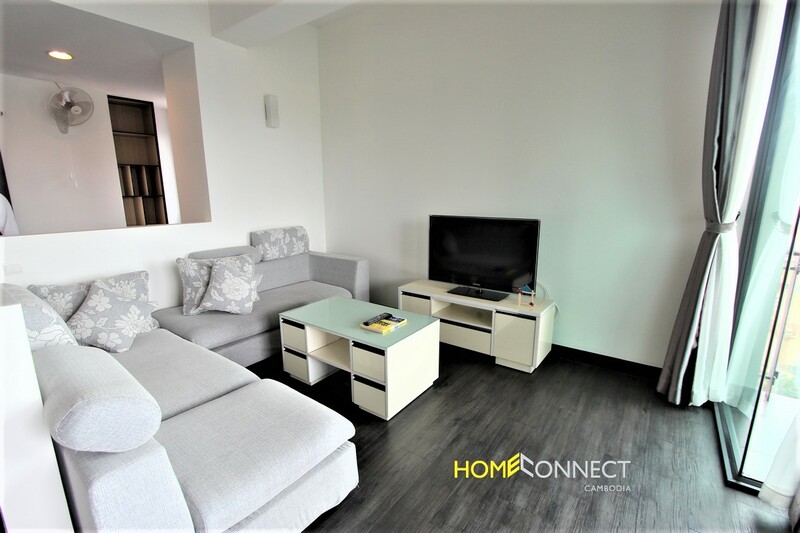 Internet and Cable TV are included in the rental.